My name is Elissa Alster, and I am a senior at the University, majoring in Communication Arts, studying Television, Film, and Media Production. I am from Closter, NJ, a small town just 20 minutes outside New York City. Although the majority of my classes center on Communications, I try to fit in as many art courses as possible. At a young age, I took many art classes, and could not imagine my life without them now. This past summer, I obtained the position as the Art Intern at Teen Vogue Magazine as well as Print Media Inc, in New York City, where I was able to do what I love everyday, art and design. Ever since I graduated high school, I have transitioned my art skills to the computer, so I look forward to learning more about the relation of art with the Internet throughout this course. I am a member of Alpha Epsilon Phi, a sorority on campus, and held the Vice President of Recruitment Chair these past two years. During my free time, I go for runs, continue on art projects, and try to spend as much time as possible with my friends and family. This past semester, I studied in Rome with three best friends and traveled throughout Europe. It was an experience that flew by, but one I will never forget. My goal for this year is to make it go by as slow as possible. 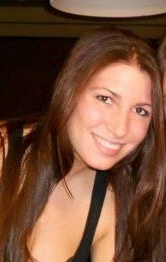 Hi everyone, my name is Michelle Kresch and I’m a junior majoring in Communication Arts. I’m from Hewlett, New York and I love NYC (I love Madison, too!) I enjoy watching TV, facebook/twitter (obviously), and being with my family. Being that our generation is one of the last generations that will remember what life was like without the internet and advanced technology, I am looking forward to learning about the social impact of the internet, and what’s in store for the future. Hi my name is Christy and I am a senior graduating in December majoring Communication Arts. I am from the Twin Cities and spent my first summer in Madison this past summer and loved it. A little about me, my favorite season is the Fall, I love everything about UW-Madison, and live for game days! I am excited to take this class because I spend a lot of time online doing everything from facebook, twitter, reading blog cites, and watching TV shows, ect. I’m looking forward to this class and nice to meet everyoe! Hi everyone! My name is Stephanie Wezelman, and I am a sophomore here at UW-Madison studying Journalism, with a certificate in Entrepreneurship. I was born and raised in Tucson, Arizona, until I decided to venture halfway across the country and go to school here in Madison! I get asked all the time why I chose this weather, but after surviving my first winter, I have to say I did quite well! I love photography, and taught it to children this summer at a camp up in Canada. After an amazing last few months, I’m happy to be back in Madtown with all of my friends. I am very interested in the progression of technology and greatly look forward to this class. After being anti-Twitter for a very long time, I ended up getting one last Spring and have become obsessed. Besides that, I want to learn more about keeping a blog. I look forward to working with all of you this semester! Hello! I’m also Jenny, I see there’s another one of us! I’m from Madison – born and raised. My major is Comm Arts focusing on the rhetoric side. I’m driven by interpersonal communication and a much more psychological analysis of humans. I like to learn how people tick, and how to better appease them, whether they be business customers or friends. My first thought was to major in marketing, but I enjoy the CA courses much more because they are theory based and can be applied to every-day-life, as well as career-life. I’m looking forward to understanding this course, especially since I have no academic history with TV/Radio Courses, and my entire semester is filled with internet-based curriculum. I like to make earrings in my spare time. I created a business plan in high school and intend to carry it out. You can find my earrings on facebook, but it’s a work-in-progress since I just created it, and half of my materials are at my parents’ home. The business is called ‘Earrings By Lobe Designs’, and hopefully one day I will open on State Street! Okay, great meeting you. Hasta luego! 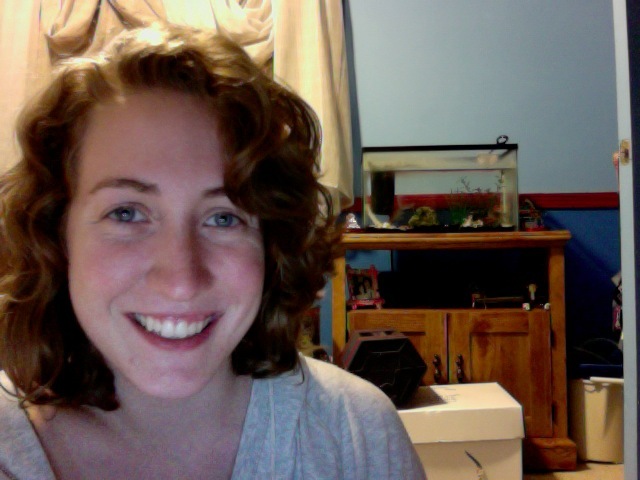 Hi my name is Christy and I am a senior graduating in December majoring Communication Arts. I am from the Twin Cities and spent my first summer in Madison this past summer and loved it. 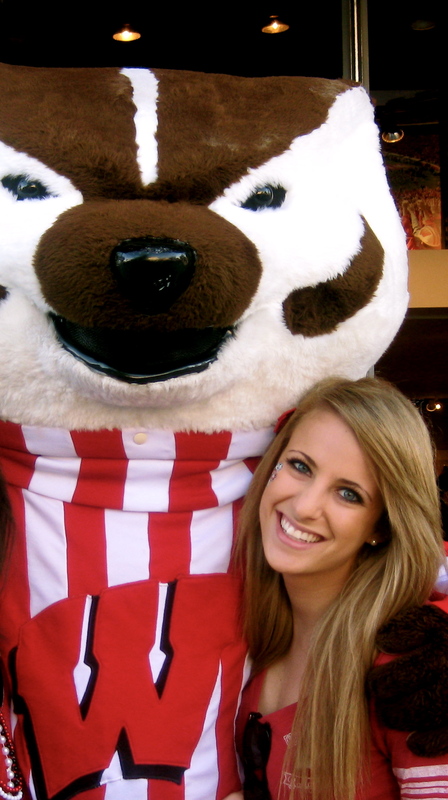 A little about me, my favorite season is the Fall, I love everything about UW-Madison, and live for game days! I am excited to take this class because I spend a lot of time online doing everything from facebook, twitter, reading blog cites, and watching TV shows, ect. I’m looking forward to this class and nice to meet everyone!